If you’re anything like her, you might find it challenging to visualize how a piece can be easily incorporated into your wardrobe. How does it fit with what you already have? Is it a worthwhile investment? It is important to consider versatility and usefulness within the context of your other pieces, but at the same time, it’s easy to overthink it. Sometimes it’s fun to take the plunge and buy it, even if you’re not sure what you’ll wear with it! That’s why I’m really enjoying sharing posts where I take one item and style it several different ways. Last time I did this, I showed a basic tee styled 5 ways (click here to read it). 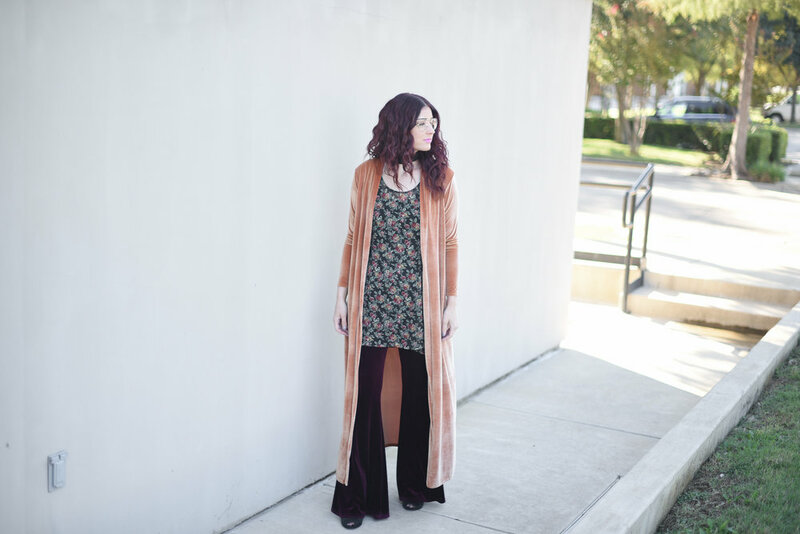 Today, I’m using a trendier fall statement piece: a velvet duster! 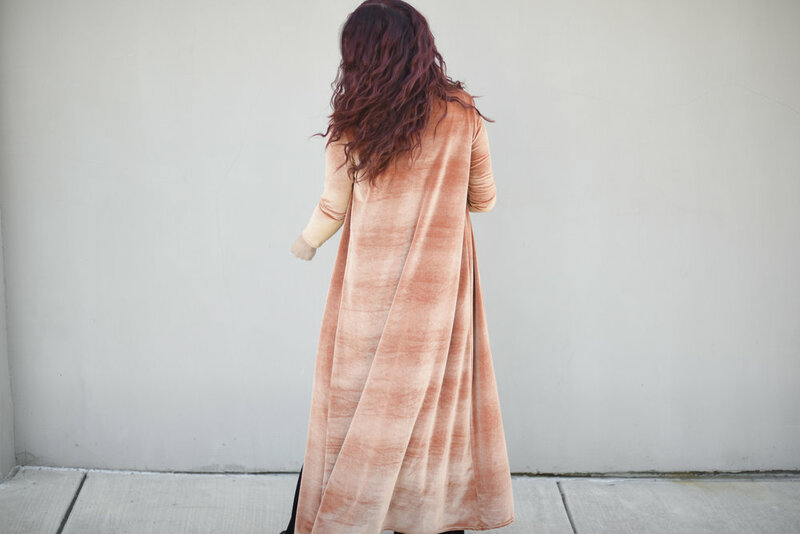 I’m giving you a heads up now…you’ll be seeing maxi cardigans and velvet everywhere this fall! Get ahead of the game...this piece is two birds with one $32 stone! It’s easy to consider a “basic” to be versatile…that’s kinda the point with a basic. But a trendy piece might be harder to think of as being versatile. I've broken this down into 3 looks using the same cardi (from left to right): 70s Retro, 70s Mod and 70s Vintage. Below I'm sharing shopping links for each look! 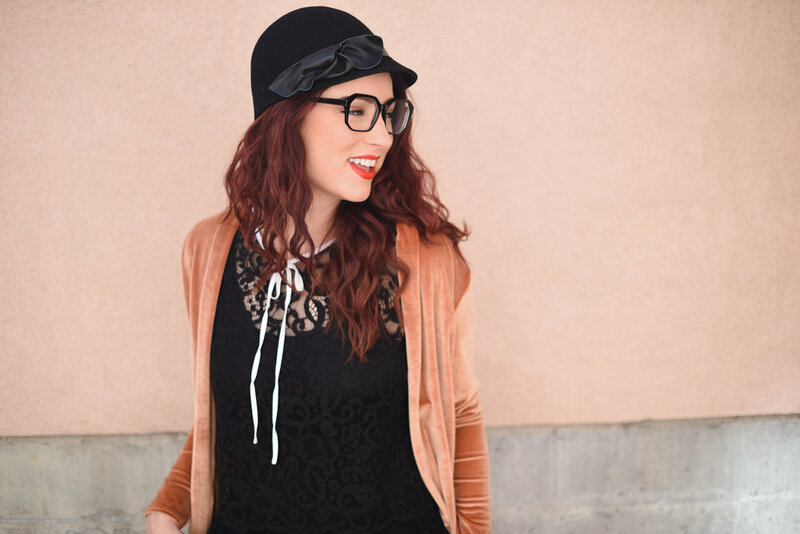 WANT TO SHARE MY "3-WAY CARDI" ON PINTEREST? HOVER OVER THE IMAGE AND CLICK "PIN IT" TO PASS IT ON! I hope this is especially helpful for those of you might see this duster online and think it’s cute, but never actually purchase it because you’re not sure what you’d wear it with. Even if you wouldn’t style it exactly like me, maybe it’ll get you thinking outside the box to see that even a trendy seasonal piece can be extremely versatile in your wardrobe. Leave me a comment and tell me if you’re a methodical practical shopper or free-spirited shopper! :) For the calculated ones, is a post like this helpful to break out of your shopping shell?